The Heartland Labor Forum is Kansas City’s only program about the workplace. It’s radio that talks back to the boss! Whether you’re a union member or your workplace isn’t organized, Heartland Labor Forum (HLF) has stories for you, guaranteed to inspire, educate, or enrage you. HLF is produced by a diverse group of working people and coordinated by The UMKC’s Labor Studies Program. 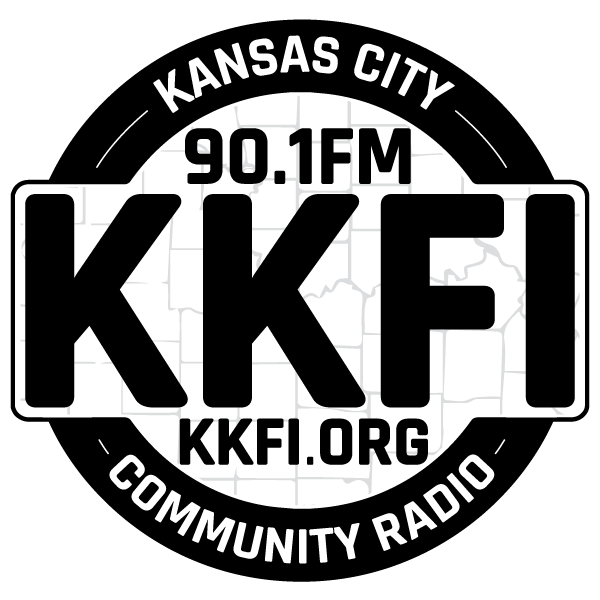 We have been agitating for the rights of working people on the KKFI airwaves since 1989. Find out about labor struggles and strikes, organizing in Kansas City, global sweatshops, and how the economy is working from the point of view of working people. Listen to our monthly features: Know Your Rights, Safety First, Economics Unmasked, and Washington Window on Workers. Heartland Labor Forum has won the International Labor Communications Association first prize for radio several times. Other media have plenty of business news of, by, and for the 1%; HLF is for the rest of us. Find our schedule of upcoming shows and our archive at www.heartlandlaborforum.org. Judy Ancel – Directs the labor studies program at UMKC and has been educating, agitating and organizing for justice for working people since the 1970s. She coordinates the show. Janice Brill – taught public school near St. Louis for many years. She’s now retired and spends her time raising her grandchildren and raising hell along with Jobs with Justice. She produced a monthly series on Heartland Labor Forum called Don’t Be Ladylike about women in the past who did the same. Kim Clause She makes AFT Local 691 run smoothly. Loves to read and interview authors. Hester Duisik has been downsized, retrained and re-employed from more jobs than all of us put together. She’s an ardent member of CWA, the Communications Workers and was one of the first women techs that AT&T hired in the 1970s. Ariana Eakle IBEW Local 124 apprentice and gifted singer. Also does our feature: Remember Our Struggle. Shicagolyn Hamms Politics is her passion. She chairs the KKFI Marketing Committee and is a board member. Christina Hendricks Young inner-city social studies teacher and union activist. Molly Madden – is a retired city bus driver and tireless agitator for justice. Having worked in factories, taught school and learned radio production, she’s living proof that a working person’s life can span many careers. Shawn Saving makes maps for the State of Kansas in his day job and plays in a rock band by night. When he’s not fixing up his house, he’s producing radio. Michael Savwoir retired from UPS after several years where he was a member of Teamsters Local 41 and a proud dissident in Teamsters for a Democratic Union. Tino Scalici He works the line at Ford, writes books and makes trouble. Jen Zaman Dream of an engineer. She makes us sound good. Mary Erio hosts the monthly Safety First feature warning us of hazards at work and informing us how to work safer. She is an industrial hygienist so she knows what she’s talking about. Angie Williams does our “Know Your Rights” segment. She is an attorney in Kansas City focusing on complex family immigration and removal defense and criminal defense. She is an activist for immigrant rights and immigration reform. 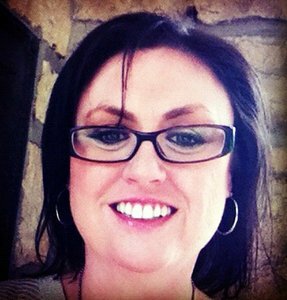 Angie has written extensively on the subject as well as testified against unconstitutional state based immigration laws in both the Kansas and Missouri Legislature. Mark Gruenberg is on once a month with Washington Window on Workers. He is a full-time labor journalist with PAI-Press Associates Inc. which provides news to unions and labor publications. The Disabilities Integration Act will push more people out of institutions and into home care. That should be good news for home care workers, but has unionization of them stalled because of opposition from courts, legislatures, and agencies? We talk to the Missouri Budget Project and the Kansas Center for Economic Growth about the issues state lawmakers are dealing with to balance this year's budgets. We interview Bruce Campbell on his new book on a one-man train disaster: The Lac-Mégantic Rail Disaster: Public Betrayal, Justice Denied. Then, find out about organized labor’s new caucus in the Missouri Democratic Party. We’re celebrating our 30th Anniversary this week on air with something old and something new. The old is our first show: it’s about the Eastern Airlines Strike 30 years ago. The new is a talk with railway workers about a fresh corporate strategy called precision railroading which some workers say puts profits ahead of safety. Last month, teachers met in El Paso to demand an end to child detention. This week we’ll hear about their teach-in at the border – a teach-in for freedom. Find out how US policies are affecting kids from eyewitness testimonies. Get educated this week when 3 local teachers and a reporter from Labor Notes discuss the strikes in West Virginia, LA, Minnesota, Denver, Oakland and more. We’ve got the last of our interviews of mayoral candidates, this time with Phil Glynn, who thinks the mayor’s projects need to start with grassroots consensus. Then, we’ll talk to Cecelia Belser Patton of Missouri Jobs with Justice about how Missouri Republican legislators are trying to undo the minimum wage initiative and Clean Amendment that voters passed overwhelmingly last November. Sorry to Bother You may have been snubbed at the Oscars, but not on the Heartland Labor Forum. This magical social satire is about a white collar worker uprising, and it’s too important to ignore. Then: what do you call a community and worker fightback against a system rigged against them? It’s called the LA Teachers Strike. We will bring you another interview with a candidate for mayor. This time it is Henry Klein. He’s a banker who chairs Habitat for Humanity and thinks KC needs a new kind of leadership. Then, we talk to Al Bradbury from Labor Notes about their new pamphlet, Rebuilding Power in Open Shop America. We’ll have another candidate for Mayor: Steve Miller, a construction lawyer who says it’s all about connections like transportation, infrastructure and neighborhoods. Then, unions are intended to level the playing field with the boss, but what if workers become their own bosses? Producer of "Heartland Labor Forum"
The Heartland Labor Forum is produced by a group of volunteers who are labor and community activists who believe in workplace democracy, workers rights, and economic justice. We're the only show in Kansas City that focuses on working people: who is fighting on their side and who is not, what they need to know about the economy. We seek to educate and inspire.